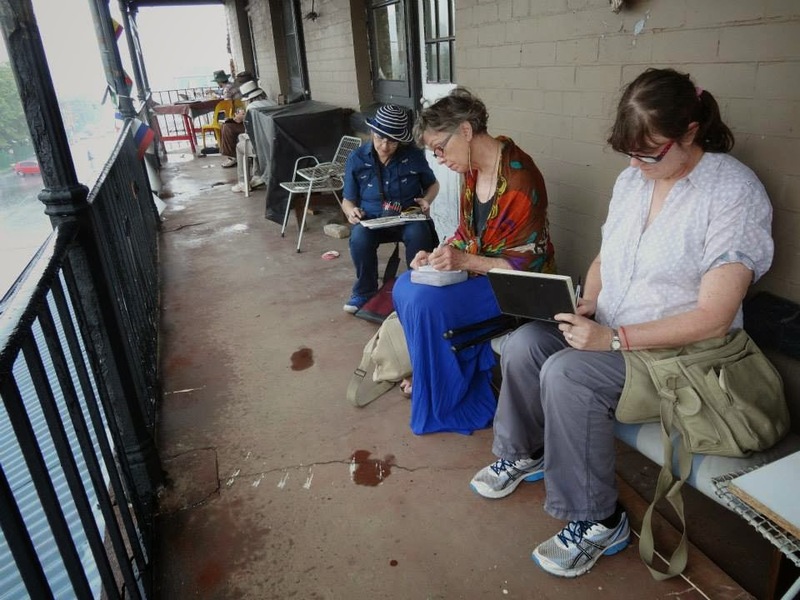 Before we could get going on the market, there were rumblings of thunder and some fat drops of rain, warning us to get under cover, so we took advantage of the kind offer of an artist who has a studio in the area, to use his balcony to sketch from. We got there just in time before there was one of several deluges. (Sorry about the quality of the images, my scanner is out of action.) 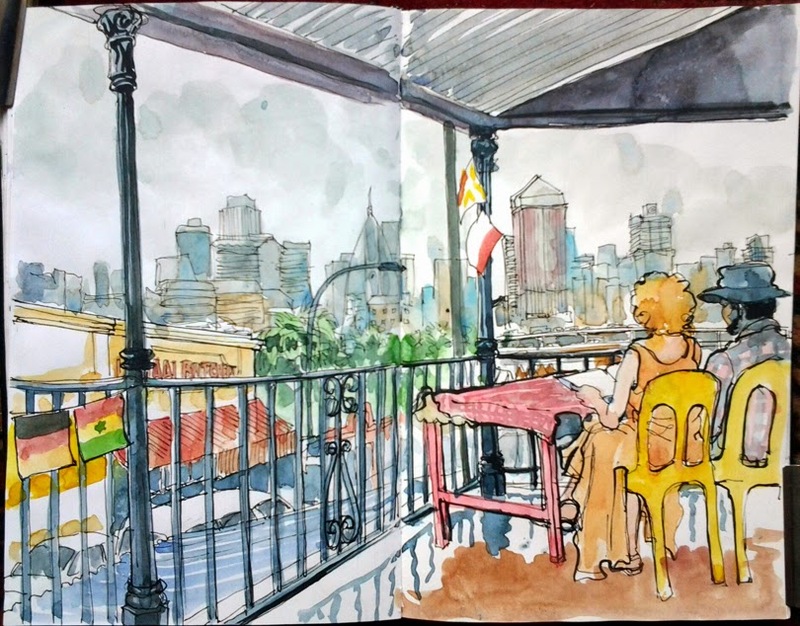 This is Marlene and John - with the luxury of chairs and a table - sketching the view. Below is John's lovely watercolour showing the contrast of old Fordsburg with the city beyond, the rain, the traffic (constant hooting of taxis) and the colours. And the sketchers huddling under the tin roof along the balcony - we still eventually got pretty wet with some interesting droplet effects on some of the sketches. This time last month I was in England, visiting family for Christmas. 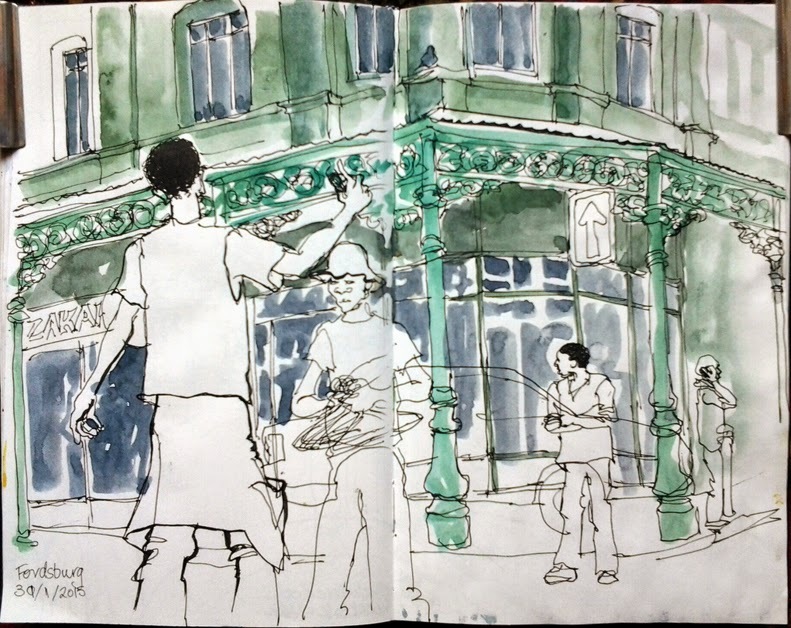 I only managed a quick sketch or two there - I have a new respect for sketchers who sit outside in that weather and draw! 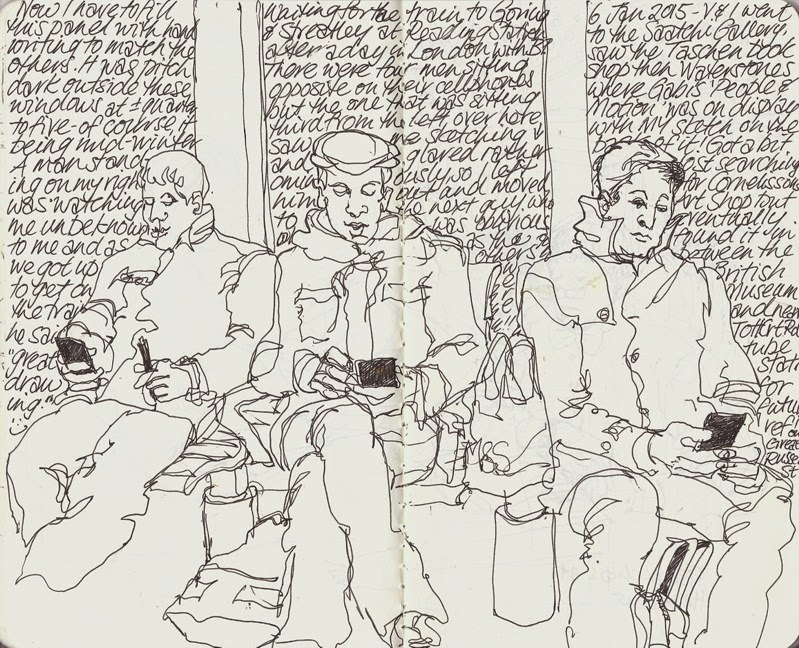 - this one in a warm waiting room on Reading station waiting for a train back to Goring. Read all about it, if you're interested, in the handwriting!